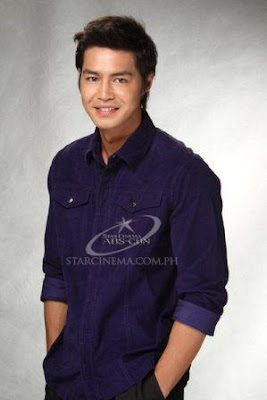 Zanjoe Marudo and Toni Gonzaga Together Again in Another Star Cinema Movie! Two of the brightest Kapamilya stars namely Toni Gonzaga and Zanjoe Marudo will reunite in the new Star Cinema movie. This newest movie is called "Wedding Tayo, Wedding Hindi." Toni and Zanjoe already paired in the 2007 romance-comedy film "You Got Me" with Sam Milby. That said movie is the Valentines offering of Star Cinema for the said year. Joining Toni and Zanjoe is the comedian Ms. Eugene Domingo. Well, since Eugene is there in the said movie, expect that it will be another romance-comedy flick! Aside from Toni, Zanjoe, and Eugene, other member of the cast is the former Kapuso hunk actor turning Kapatid Mr. Wendell Ramos! We're unsure if Wendell is the love triangle of Toni and Zanjoe or he'll be the love interest of Eugene. We'll wait and see! "Wedding Tayo, Wedding Hindi" is co-produced by Octoarts Film and Star Cinema! The playdate is not yet revealed!